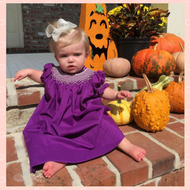 Infant dresses, girls dressy bubble outfits and rompers for any special occasion. Infant girl solid white baby dresses, special occasion dresses, infant girls layette sets and take me home outfits. Girls cotton batiste newborn daygowns make great baby showers gifts. 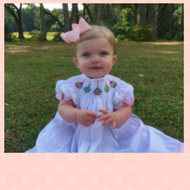 View our girls smocked baby bonnets and precious crib shoes Classic smocked dresses and bubble outfits for infant girls are perfect baby shower gifts or "Take me Home" outfits. Beautiful monogrammable and knit baby blankets, available in many styles. Take your newborn baby girl home in one of our soft girls layette sets by Kissy Kissy or a sweet smocked bishop dress by Feltman Brothers or Petit Ami. 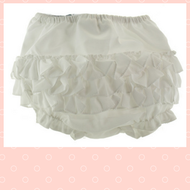 Our online boutique is a great place to find your newborn baby girls outfit to wear home from the hospital. We offer free gift wrapping service so buying a baby gift is made simple. Great selection of smocked portrait dresses and dresses for beach photos. Many styles available for monogramming.